When it comes time to sell your home, interior staging can truly make or break a potential sale. In order to get a buyer to fall in love with the house, they need to be able to picture themselves actually living in the home. Statistically speaking, homes that are staged in comparison to homes that are being shown empty, sell more quickly and with a better offer. While staging a home may seem easy, there is a balance that needs to be met and a method of doing it the most effective way. 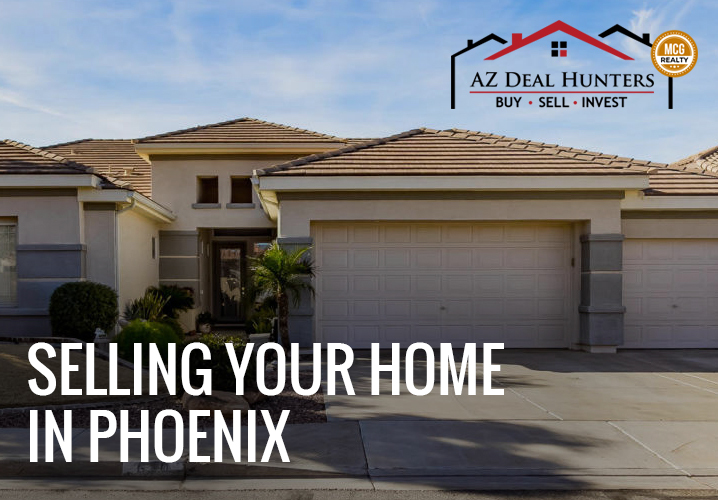 If you’re selling your home in Phoenix, Gilbert, or any other part of Maricopa County, following the tips below will help you stage your home for sale this year. Save money by simply staining the old cabinets instead of replacing them entirely. The kitchen is one of the most important things that a buyer looks at when considering whether or not to purchase your home and cabinets can be a big turnoff. You’ll also want to add new hardware once the stain is fresh and new. Following the trend of what buyers are looking for will be the best way to make a decision on what type of stain and hardware you choose. While granite countertops are an expensive addition to any home, if you add this feature before selling, you will certainly see the return on your investment. Granite countertops are a huge selling feature that makes the staging process really stand out. One way to keep the project slightly less expensive is by requesting remnants of prior projects from the vendor you choose to go with. Give your home this look of luxury before putting it on the market to ensure a quicker and higher offer. Window treatments are a must when it comes to staging a home. It makes the room look more put together and can add a nice color pop. If you don’t want to spend the money on new dressing, simply follow the pro tip of using a few placemats and hanging them along the curtain line. Doing this will give the home a nice accent. We’ve all seen the HGTV specials on making the outside of your home look beautiful to attract potential buyers. In staging a home, this is key and those exterior touches truly count. Color is a great way to up the curb appeal on your staged home. Having two tones of paint and a faux finish on the corner keystones give it a great look. Use a stone sealer on walkways pavers and plant flowers. Once you do these three things, you’ll begin stopping traffic in no time. The unappealing look of a poorly cleaned bathroom can turn off potential buyers. When staging a home, it’s important to get rid of any residue or surface mold that may be present. Using bleach mixed with water will help you achieve the perfect look and give your bathroom a super clean look and feel. Be sure to give the walls a new coat of paint as well. Think about what you would want the bathroom to look like in a home you’re considering to buy and go from there. You don’t want outdated bathroom tile to be the reason you lose a buyer. When staging, remove any old, outdated tile and replace it. If it seems too expensive to replace with new tile for staging, simply use paint over the existing tiles instead. Using a high-adhesion primer and a special ceramic epoxy covering, you won’t even be able to tell the outdated tiles were ever even there. This is a great trick that will save you a good chunk of money with everything else you need to do to prep your home for a sale. New kitchen appliances are key to a perfect staging job. It’s important to remove any old, outdated appliances and give everything in the kitchen a fresh new look. New appliances give your buyers the trust and feeling that they’re not going to have to be replacing the appliances any time soon. This makes buyers more likely to make an offer than they would if the appliances look old. Instead of completely replacing appliances that look good, but aren’t the ever-popular stainless steel, you can resurface. Let’s use a dishwasher as an example. You simply remove the panels, clean them off, and apply a stainless-steel stick on covering. Spend a lot less money and still achieve that great, stainless-steel look. Your potential buyers will be amazed at the trick! If you have a built-in bookshelf, your buyer will love it. It’s important to stage these correctly, meaning that cluttering them would be doing you a disservice. 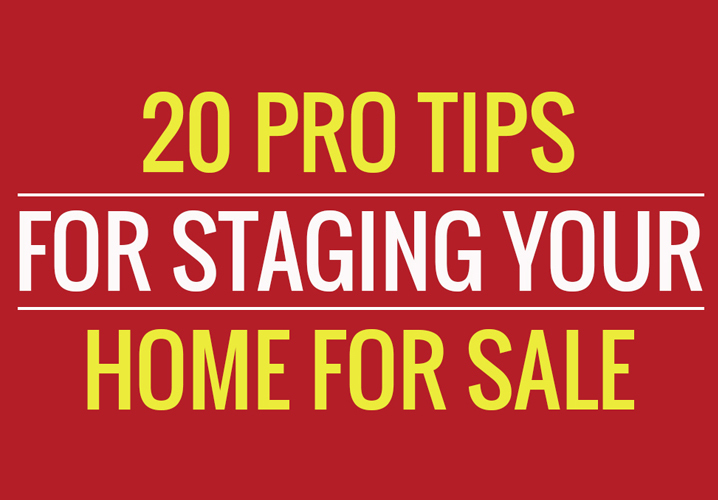 Staging pros arrange these with neutral items and in clusters as opposed to spacing each item out one by one. You don’t want any particular item to stand out from the rest to be sure that you’re showcasing the bookshelf and not the items on it. 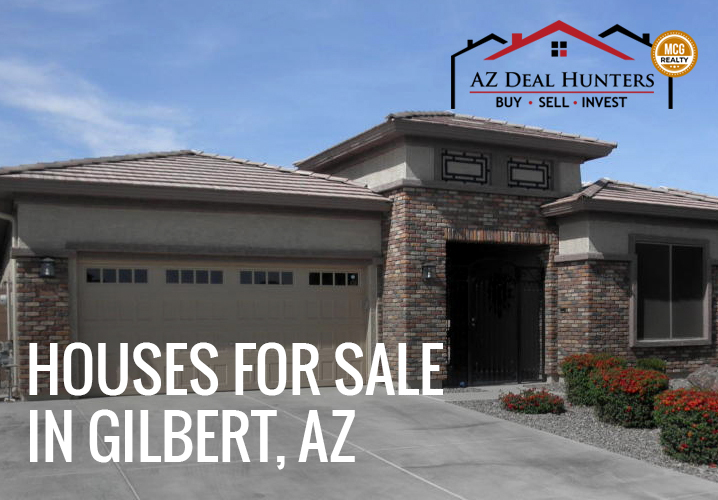 Get rid of any clutter or personal items that are laying out for potential buyers to see. They don’t want to be looking at all of your belongings because they want to be able to picture theirs in the space. Keeping the items in the room as simple as possible, but not too sparse, is key to a staging well done. This includes painting the room a very neutral color as opposed to one that pops and makes the room feel overpowering. When showing the home, be sure to keep it light, bright, and airy as opposed to dark and dingy. Open the shades and use light colored paints paired with good artificial lighting as well. Lamps and light-colored furniture is helpful for this as well. Homes that have a brighter look and feel are more likely to secure an offer than those that feel closed off and dark. Nothing is worse than walking into a home you’re considering to purchase and some potent odor creeps into your senses. Whether it’s pet odor or something else, it’s important to do everything you can to clear these smells out. That may mean replacing the carpet with a new, neutral carpet. You may want to replace the carpet regardless of any odors anyways. A sense of cleanliness throughout the entire home is necessary for the sale. Show off more storage space in the closets by clearing them of clutter. Potential buyers love seeing that your home has plenty of room for all of their things. If the closets and shelves are full of your items, they aren’t going to get that same impression and it may break the sale. This includes any drawers and cleaning off counter space too. Once you do this, you’ll notice that space really opens up. Give your home an well interior designed feel by playing up those areas of the home that could use some playing up. A coffee table is a great way to do this and gives it the perfect look of being lived in. Have one centerpiece item like a ceramic or a bowl filled with something, then add books, candles, pottery, or other small items. This is where you can get Fixer Upper or HGTV status in your decor choices. Whatever it is that makes your home special, be sure to highlight that feature with staging. This could be a great dining room with a beautiful painting, a large window with white, bright curtains or any other part of the home that you feel stands out from the rest. You want to draw the buyers to these areas and show them why your home is worth making an offer on. They don’t want to live without that feature in their life any longer! By adding a small seating area with a lounge chair or two single chairs and a small table, you can give off the impression that the master bedroom has a lot of space. Be sure to space this section out from the bed so that it doesn’t feel over-cluttered and doesn’t make sense. If you don’t have the room for it and your master bedroom is smaller, then skip this tip. If you’re able to swing it, this is a feature of any home that a buyer tends to get really excited about. Homes that have a good flow are more appealing to buyers than those that feel jumbled and confusing. You can simply replace a square or rectangular table with a round one to give it a feeling of cohesiveness. You will add opened up space by getting rid of those corner elements and give it a better, flowing feel. Giving the home plenty of room to walk and maneuver is also important to think about when staging. Visualize how potential buyers are going to walk throughout the home when they come to view it. Be sure to fill in any holes in the walls or hardware holes that you don’t want your potential buyers to see. You want to make them feel like the walls are brand new and that they won’t need to do any repair work. Filling these in and then going over the walls with a fresh coat of paint is a great tip for getting a quicker deal. It’s key to choose colors, furniture, and decor that is going to be appealing to both male and female buyers. Having a room that is too feminine or masculine may turn offers away because they won’t be able to picture themselves in that space. If you use neutral colors and choose furniture that doesn’t lean too far to one end of the spectrum, you’ll be catering to buyers of all types and you’ll be more likely to close a deal sooner rather than later. If you are dealing with a large, old fireplace, turn it into a fresh selling feature. Replace the fireplace screen and give the whole thing a super detailed cleaning. Use a color enhancer to polish the exterior to give it a good shine. If it stands out too much, you can use a color of paint that matches the walls if you want it to blend in better with the room. A fireplace can be a beautiful addition to a home as long as it’s one that looks nice with the rest of the room. While selling a home can be scary and anxiety-ridden, especially when you need to close a deal as fast as possible, it doesn’t need to be when you have an expert team on your side, leading the way. By letting your realtor have a say in the way that your home is staged to attract buyers, you can ensure that you’ll have an offer more quickly than if you did nothing to get your home ready for the sale. 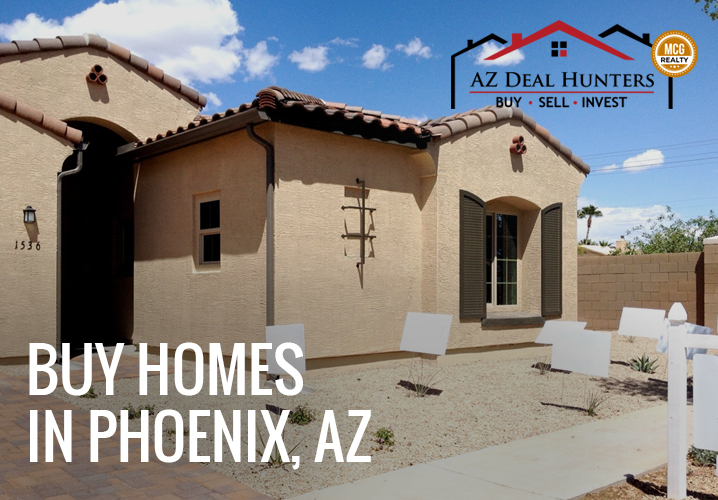 The well-seasoned AZ Deal Hunters understands and respects the needs of each individual home buyer. 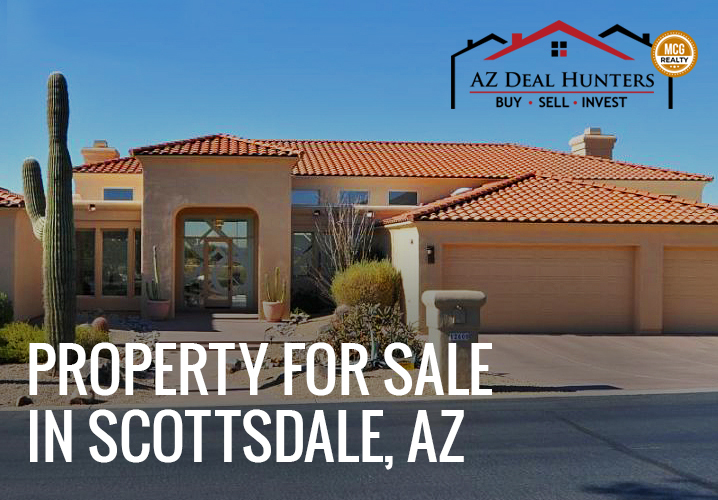 If you’re considering selling your home or condo in Phoenix, Scottsdale, Chandler, or Tempe, Arizona, AZ Deal Hunters can help you. 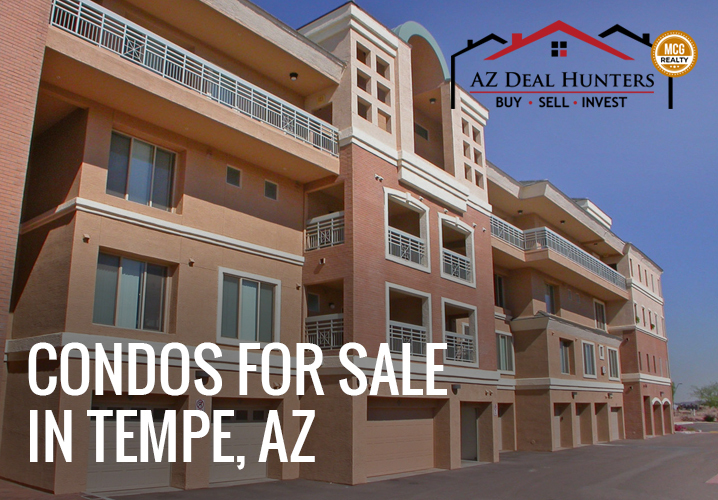 If you need assistance in selling a condo or house in Arizona, call 480-432-7049 them today!